NORTON independent MP Temba Mliswa has dared Vice President Kembo Mohadi saying he is ready to meet him in court over recent Twitter utterances by the legislator. The fight between Mliswa and Mohadi started when the former Zanu PF Mashonaland West chairperson applauded President Emmerson Mnangagwa for dissolving the Zimbabwe Anti-Corruption Commission board saying he must move to deal with the likes of Mohadi whom he accused of being corrupt. In his response, Mohadi demanded that Mliswa retracts his claims. In a letter written on February 1 by Mohadi’s lawyer, Norman Mugiya of Mugiya and Macharaga Law Chambers, Mliswa was ordered to retract his statement within 24 hours. “Our client demands the immediate retraction of the utterances in a publication of equal readership and prominence forthwith and in all cases within 24 hours of the delivery of this letter upon you,” the letter reads. “In the event that you do not comply with the demand set out in paragraph 7 above, we have firm instructions to institute all necessary legal proceedings against you to ensure that the good name and reputation of our client is protected. “Such remedies available to our client shall include an action for defamation in respect of an amount of damages yet to be quantified and an urgent application for an order interdicting you from continuing to issue defamatory statements against our client. However, a defiant Mliswa yesterday maintained he will not retract his statements because the allegations are “true”. “I will never retract. Why should I retract? What I wrote is true. 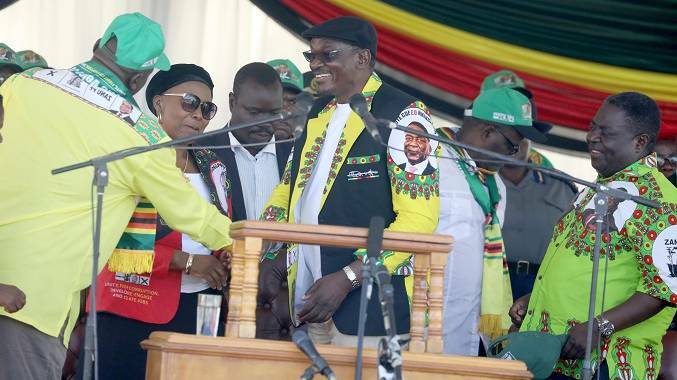 Mohadi has been committing crimes for a long time while abusing his powers as minister,” Mliswa told the Daily News. In a tweet, Mliswa said he is ready to defend his case in court. “Finally, I received the letter and will respond accordingly. However there’s no going back & we’ll meet in court! “The sooner I can defend any fictitious allegations by those you’re in cahoots with the better, let’s see who comes out clean! “I’ve stood the test of time because of my stance against corruption, can you?” Mliswa tweeted. “The Zipra war vets have been neglected and Mohadi has done nothing to represent them. There are more influential and deserving Zipra commanders than Mohadi that have better capacity and people at heart. ““In fact, I’m looking forward to my day in court as my evidence may get lost in the system if I submit it to law enforcement agents or Zacc; it’s safer before the courts.